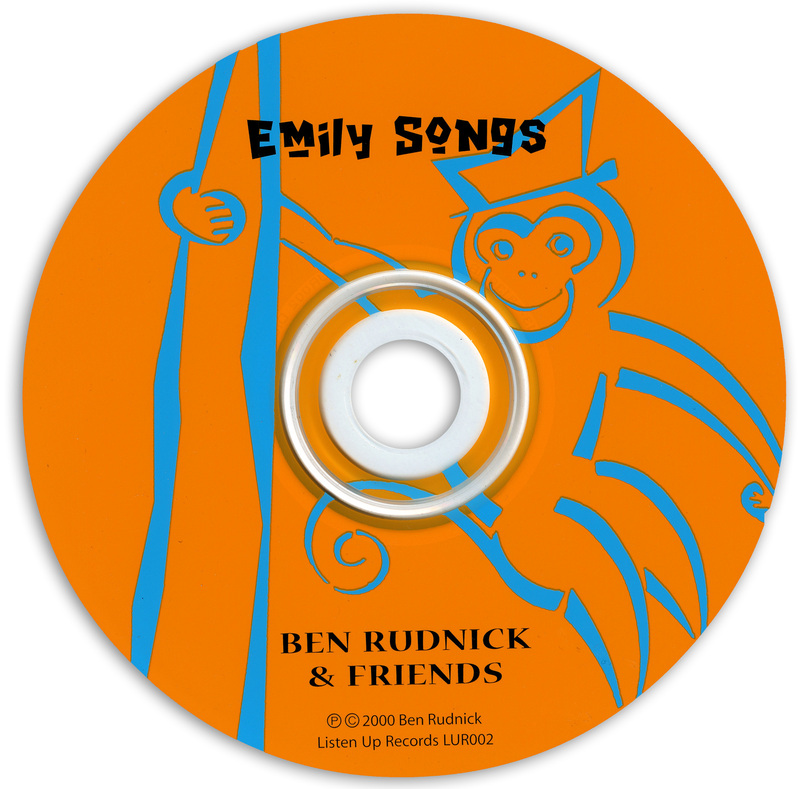 "A peppy blend of banjo, guitar, mandolin and a host of other instruments give Rudnick's debut children's recording a buoyant sense of fun"
"We play very little kid's music, but your songs transcend the genre"
The idea for the first Ben Rudnick and Friends CD was conceived while creating music for Ben's daughter's fourth birthday party. Ben wrote the original songs "I Like Silver, I Like Gold," "I Need a Hand" and "Cowgirl Song." The songs all came out of just playing and singing with Emily. The songs and melodies are fun and engaging for children of all ages. "I Like Silver, I Like Gold" blends children's love of colors with rhymes and an infectious rhythm. Children and parents alike will relate to "I Need a Hand", a song that has some serious fun with what it means to cross the street and to just get through the day. Mixed with the originals are classics, such as "Skip to My Lou", done as you've never heard them before— kids will be unable to resist singing along. A couple of good old-fashioned fiddle tunes round it all out. If this album doesn't get you dancing, nothing will! Ben Rudnick's interest in music started in the late 1960's with the unlikely combination of seeing and hearing a concertina on a sitcom TV show and hearing the Beatles on the jukebox at the local pizza place. The Beatles "Revolution" made quite the impact. From early accordion lessons (Ben never did get that concertina) to piano, and ultimately switching to guitar in High School, Ben pursued his interests in music including following the Beatles, Grateful Dead, Allman Brothers, Hot Tuna and other influential bands of the late '60's, 1970's and 1980's. Landing in Southern New Hampshire in 1984, Ben wandered into Belisle Music in Manchester, NH and began taking guitar lessons with John Zevos who was teaching there at the time. Ben and John had much in common and soon began playing around the area as a duo called Stone Dove. The two ultimately ended up in a Bluegrass band called The Bluegrass Connection. After a couple of years, Ben left to join a rock band, The Eds, which featured future Ben Rudnick and Friends accordionist Mark Yacovone on keyboards. After Ben's daughter was born and the fourth birthday party had finished, Ben and John went to Soundlab Studios in Milford, NH to begin recording a CD of songs directed at children and their families. Ben played the guitar and John played the mandolin as they had in the The Bluegrass Connection. The CD Emily Songs, named after Ben's daughter, started with Ben and John playing all the tracks live. Ultimately the recording engineer, Arnie Ashford, added bass and harmony vocals. Jeff Bird (Cowboy Junkies) added harmonica and "other musical bits." 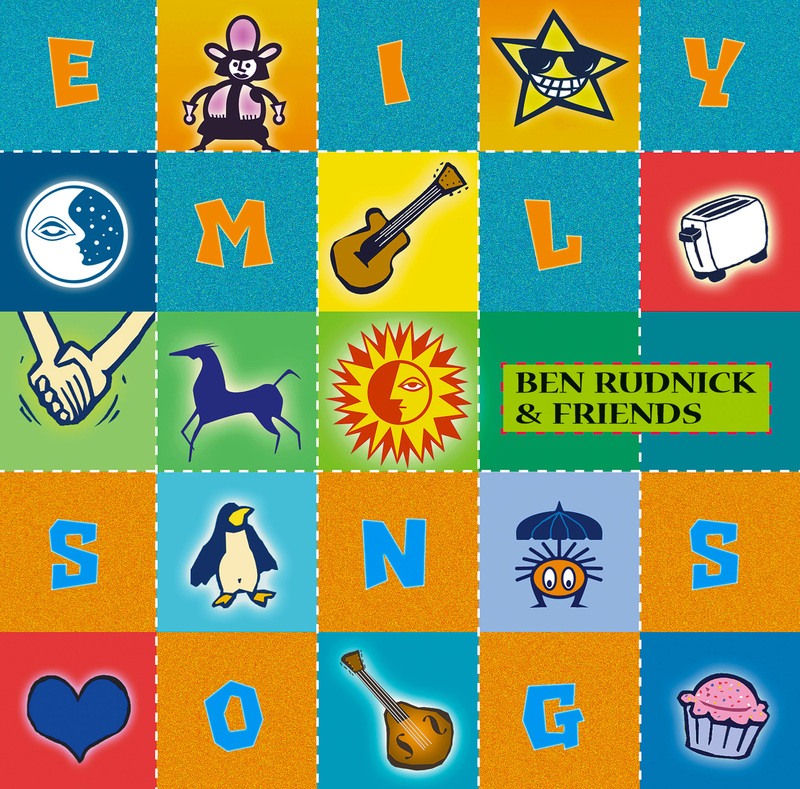 The artwork for Emily Songs originally listed the artist as "Ben Rudnick." Ben requested that "and Friends" be added and Ben Rudnick and Friends was born. Emily Songs went on to win a Parents' Choice Award. Performance dates were booked and work soon started on the second recording, Fun and Games. Work started on Emily Songs in early 2000. By the end of 2017, Ben Rudnick and Friends have 12 recordings and have played almost 900 live shows. The band is planning to release new recordings in early 2018.